'Vedantasara' is one of the best known examples of the philosophy of the Upanisads as taught by Sankaracarya. Vedanta rests ultimately on the light of reason, or Buddhi, giving it a natural appeal to rationally inclined people the world over. 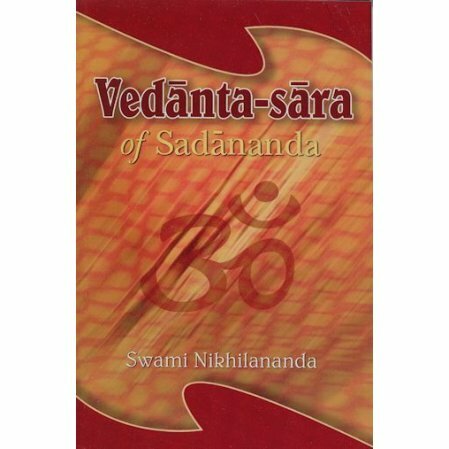 Vedanta-sara is one of the best known examples of the philosophy of the Upanisads as taught by Sankaracarya. It is truly the essence of Vedanta. The growing interest in Vedanta is due in large measure to its freedom from all narrowness. While not discarding faith in any religion. The book includes the Devanagri text with English translation and explanatory notes.